Last month saw us off with a spectacular conjunction of Venus and Jupiter in Cancer, Venus being quite upset there and Jupiter being quite happy. In general Venus is the karaka of love, and the planetary war that occurred from this conjunction (being a true planetary war in which the actual lights of the planets merged) could have either brought fame and fortune your way or could have ruined a relationship. I experienced both personally, ending up on t.v in an unexpected way the day of the conjunction, while at the same time two people close to me who have been married for a long time are getting separated. Anytime a true planetary war occurs, wherein the two planets actually eclipse one another’s light, it is a chance for something new to come into fruition because the eclipsed planet will now shed forth a new light after the eclipse. Hence Jupiter was eclipsed by Venus since it is closer to us, yet the light of Jupiter as per the rules of vedic astrology would have dominated until Venus overthrew its longitude. This indicates new beginnings for how we are perceived. Jupiter is a social planet and is the karaka for our reputation and fame alongside the Sun. Hence this conjunction creates opportunity for those strongly affected by Jupiter to make a “new look” for themselves or begin a new part of their career or professional journey. Reputations can change, and Venus being the planet that initiated the war indicates that this new appearance or change in reputation may be due to someone we love or someone who we don’t love any more (and are thus leaving). Such is the position we were given at the start of the month. We are still under the influence of a rather dangerous yoga being formed by Sun, Mars and Rahu all in mutual kendras. Hence Gemini, Virgo, Sagittarius and Pisces ascendants may continue to be negatively affected in areas of health, relationships, finances and home. 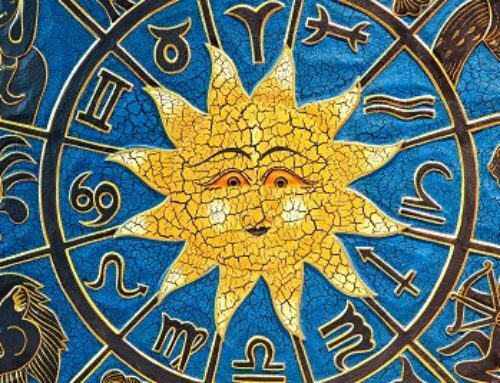 The same possibilities of last month related to fire will continue for the first half or so of July until the Sun moves into Cancer and cools off. 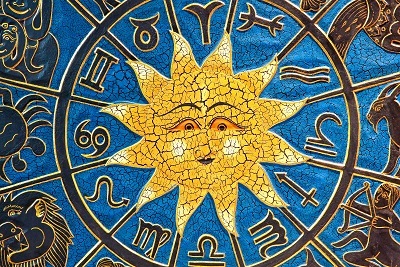 The sun having already moved into the benefic lunar mansion of Punarvasu should begin to reduce the strength of this malefic combination until it enters into Cancer and cancels the yoga (happens July 17th). On the 14th the Moon, Mercury and Mars will all be in the malefic lunar mansion of Ardra aspected by its lord Rahu. This could cause serious problems with trade and communication-based careers, or with any kinds of political negotiations. Not a good day to ask for a promotion, and if you are a Virgo ascendant you might expect a fight in the workplace, or some drama there. This is also an important day astrologically because Jupiter will finally leave Cancer and enter into Leo. Jupiter, Saturn, Rahu and Ketu tend to be the mst important planets in activating our karmas, and Jupiter as the life-giver has a special power here in regards to some ancient systems of astrology such as the Bhrigu Nadi. Thus Jupiter’s 12-year cycle is important to keep watch on and see how it activates those areas of our charts. For this we can simply see which house in our chart Leo belongs to and this will show us the general theme of events for that year. Jupiter is strong in Leo and will give favorable results there for most people. Jupiter is conjunct Venus still at this time, and this could foreshadow an important year for various governments. America is having its election year during Jupiter’s stay, Greece has to figure out what to do with its government, and certainly there will be other similar situations in other governments. The moon entering into Gajakeshari Yoga and Chandra-Guru yoga on July 18th makes this an auspicious date for social, political or business decisions. It will also bring out any delayed effects from the Jupiter/Venus conjunction at the end of June. On the 21st and 22nd the Moon enters a sarpa yoga with Rahu, Ketu and Mars. This means problems with the mother, mother’s health, the mind or mental illnesses, and watery objects and professions such as boats, fishing, etc. We end the month with the Sun and Mercury moving through Pushya in Cancer, an auspicious lunar mansion that can bring blessings into our lives and is especially good for those on the spiritual path to begin instruction under a spiritual teacher, the nakshatra being ruled by Brihaspati the Guru of the Gods.